When I was 3, I wanted to be an astronaut. When I was 5, I saw what a veterinarian did for a living and immediately changed my career plans. When I was 10, I managed to talk the local veterinarian into letting me clean cages at his practice and decided that this was, indeed, the right place for me. It was not an easy path by any means, and I did work in the software field briefly before starting veterinary school. In 1996, I graduated from U/C Davis School of Veterinary Medicine and my life has not been the same since. 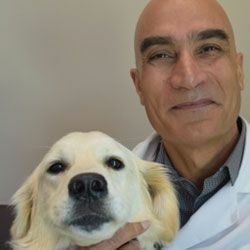 I have worked at several different practices over the years, from San Francisco to King City, from Pacifica to Stockton, learning different techniques and approaches to help our canine and feline companions. 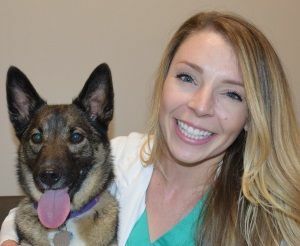 I am excited to be part of this beautiful practice that is so close to my hometown of Los Gatos, with cutting edge equipment and a very progressive approach to veterinary care. I live in the Santa Cruz mountains with 5 chickens, 2 goats, 1 miniature horse, and I am a full-time servant to my two feline overlords who are named Rasputin and Buffy. In the times between work and home, I read fantasy/SF, knit, ride my motorcycle, and play tabletop role playing games. 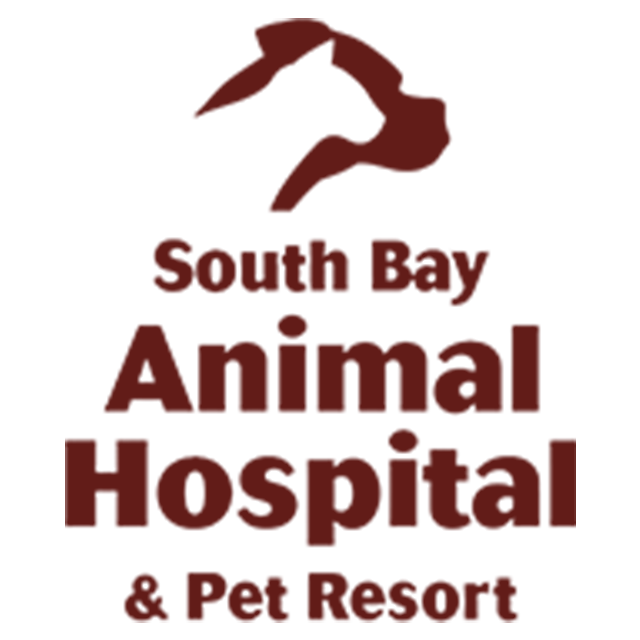 I am also the creator of this website, so if you have any comments please direct them my way! I joined the South Bay team as an overnight emergency veterinarian, eager to help your pets while the rest of the city is asleep! Originally from Kansas City, MO, I attended the University of Missouri for my undergraduate studies in Animal Science and continued my education at the University of Missouri-College of Veterinary Medicine. I am new to California, and currently loving everything about the weather, landscape, food, and people! 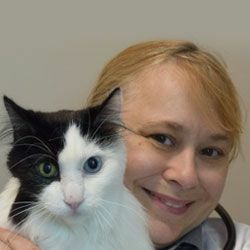 My veterinary passions include emergency and critical care, pain management, surgery, and oncology. I also love hiking, kayaking, bass fishing, hot yoga, baking decorative desserts, and rollerblading with my Australian cattle dog mix, Lola (pictured), and my Australian shepherd, Bennett. 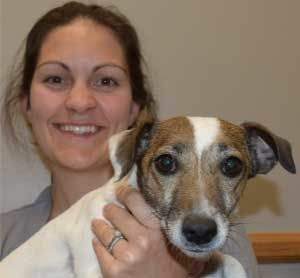 I graduated in 2012 from the Royal Veterinary College, London, and went straight into practice at a busy 24/7 hospital which also provided specialist services. It was here that my passion for surgery really developed and I started to perform key hole (laparoscopic) surgery. I am currently halfway through a postgraduate qualification in surgery to further my knowledge, improve my skills and to help your pets with the best treatment. I moved to San Jose with my husband, our then 6-week old daughter and our three dogs in May 2016 and have since had another daughter. I am so excited to join the team as a Veterinarian here at South Bay Animal Hospital and to bring my experiences from the UK to practice. We are loving life in California - particularly the weather! Other than caring for animals and my family, I love to be active, explore new places and creating in the kitchen.